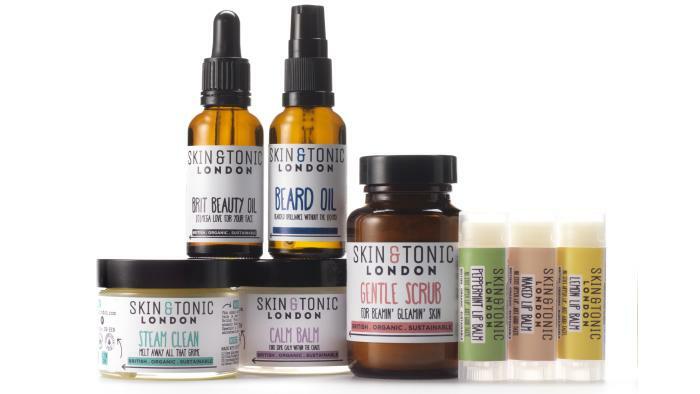 I have my eye on a new skincare range from Skin & Tonic London. I adore the ethos of the brand "Our products only use a MAXIMUM of 7 simple, organic and local or Fair Trade." The story behind the creation of this brand is a familiar one. Sarah was diagnosed with endometriosis and this triggered a desire to simplify her lifestyle and pay attention to what goes into her body and on her skin. She started to formulate her own natural and synthetic free skincare to fit her needs. The product line is not huge but covers the basics for a good routine - Steam Clean, Brit Beauty Oil, Gentle Scrub, Lip Balms, Calm Balm and for the gents, Beard Oil. I am instantly drawn to Calm Balm, a multifunctional product which contains my favourite ingredients, Roman Chamomile, English Lavender and Welsh Calendula. It is suggested this balm can be use for hydrating dry skin, massaging into muscles, applying to wrists and temples to calm your mood and aid sleep. You can buy products direct from Skin & Tonic's website and they recently launched at **Content Beauty. if it's like mine it's the ever growing wishlist! Love the packaging and simplicity of the line!